CrossTxT is a project created by Bryan Ehrlich and I. It is a cloud based text messing system that allows users to send text messages from any computer with an internet connection. 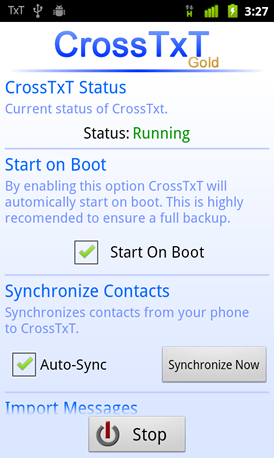 Advantages of CrossTxT include text messaging from your phone's phone number, full inbox synchronization between the phone and website, and full text message backup. CrossTxT is a true cloud based text messing solution. We created CrossTxT because we wanted an easy way to view and respond to text messages while on the computer. 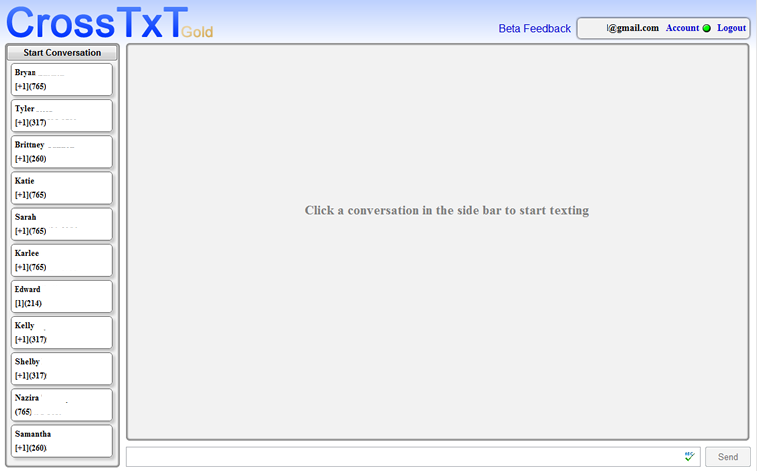 With CrossTxT, when a text message is received, the user will see a popup on their computer screen within seconds. They can also choose to reply directly from the notification. Users can also start conversations and view text messages from the website just as they would on a phone. 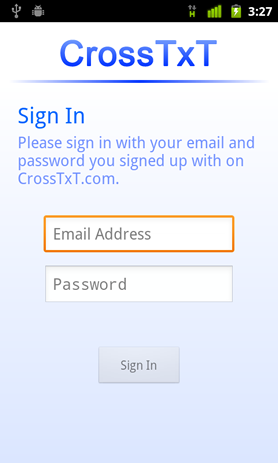 The CrossTxT backend is written in PHP using MySQL, and an phone application written in Java for Android. Go to the CrossTxT website to sign up. Further instructions can be found here.